High Intensity Training (HIT) is designed to ramp up your cardio while adding some lean muscle at a, you guessed it, High-Intensity. Some weights are included with the occasional gymnastics components, and these are tailored to your abilities. The main focus is conditioning your heart for maximum efficiency. This program is useful for anyone looking to work on overall fitness. No background in exercise is necessary. Whether you’re a seasoned athlete looking at getting the most out of your pre-season, or a grandparent wanting to show your grandkids an active life, we can tailor the HIT sessions to you. If CrossFit is the sledgehammer of the fitness world, High Intensity Training is the scalpel. Both have their places in your fitness arsenal. 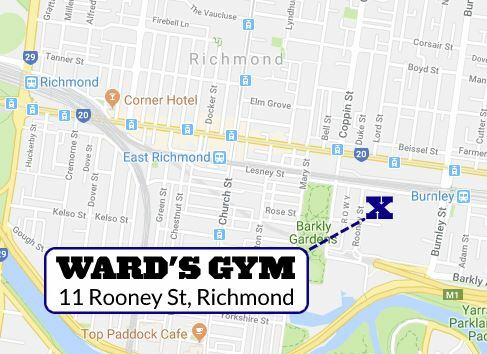 HIT training at Ward’s Gym forgoes the weightlifting and technical gymnastics components of CrossFit and focuses heavily on the fat burning, lean muscle building, high-intensity circuits that CrossFit is known for. The focus is on body weight movements and lighter weights with higher repetitions to condition your heart for maximum efficiency. Our staff are all high-level athletes but we have not forgotten what starting out was like. We know how daunting a 40 calorie burn on the Assault Bike can be, or learning to nail the proper technique for a kettlebell swing. We specialise in teaching you the right movements and mechanics, before encouraging you to push yourself beyond previous limits. Our HIT classes are our most popular session, so know that you will be working with a team that actively wants to see you develop and become a healthier you.